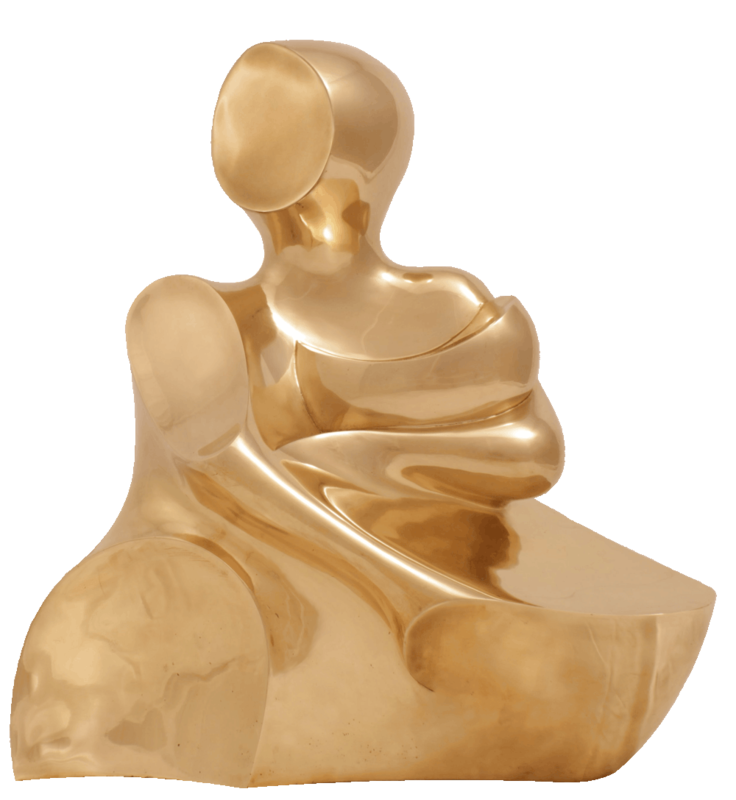 Sferico “Nativity” 70x63x38cm polished bronze - The triangular structure draws energy from above, on the right side the material takes off as a vessel, giving a further boost to the structural system. The lines of force move the masses that infuse dynamics with the mystery of the event. The Son as a rising moon is a symbol of transformation. 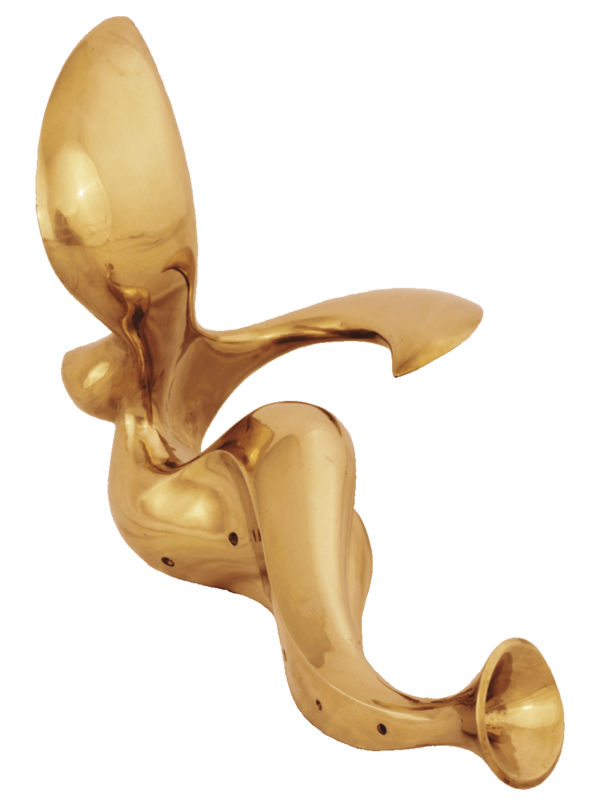 Sferico "Music" 60x48x45cm polished bronze - The body takes form from the vital breath instilled into the mouth of the flute, the dynamic trajectory, modulated by seven holes intended as music notes and navels, results in wings movement that floods the air with melodic call. Spacial penetration which is the prerogative of art itself: rapport between object created and creator understood in its broader sense. 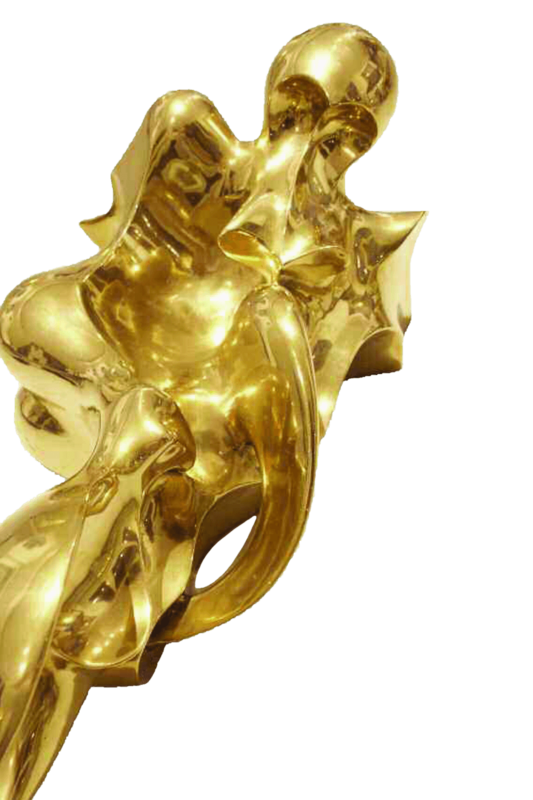 Sferico "The instant of the big bang" 42x26x16cm polished bronze - “Open work” on the scene of the formation of the man project. The ocean waves are sculpted by the forces of the wind. The oxygen mask denotes an unattained respiratory autonomy, the human draft seemingly awaiting the command from the spirit that hovers on the waters, namely, the life-giving breath of the creator which will render it autonomous and capable of love.